Youth members of the Seventh-day Adventist (SDA) Church at Otjiwarongo on Saturday distributed food parcels to pensioners and destitute residents of the DRC informal settlement at the town. The 50 food parcels contained tinned fish, sugar, salt, rice, cooking oil, raw soup and washing powder purchased by church members with the money they generated through contributions among themselves. The group of 15 church youth members also reached out to the Otjiwarongo dumpsite, where they found close to 20 adult inhabitants with their children collecting empty bottles and scrap materials for sale. 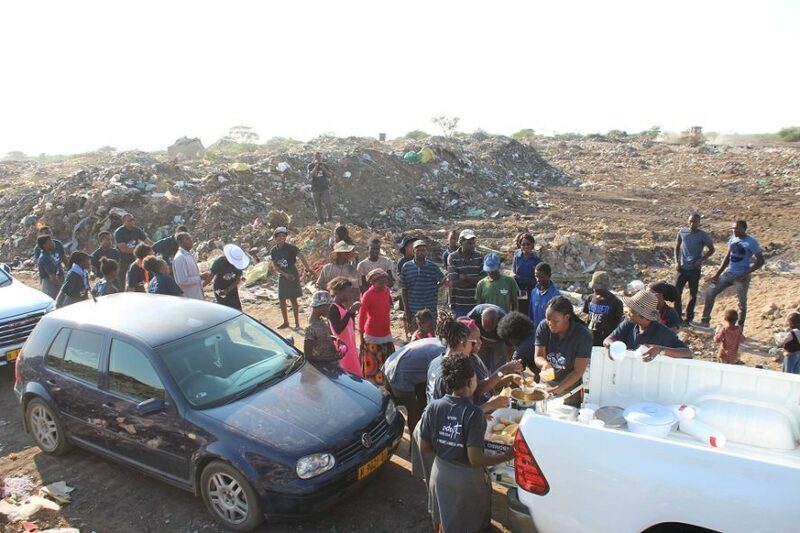 Group leader of the Otjiwarongo SDA church youth group, Nggabutho Ncube then called for these inhabitants to assemble at one point inside the dumpsite and prayed with them. The church youth group thereafter then distributed the food parcels to the inhabitants and served them already prepared soup with bread rolls. Ncube told Nampa his church is commemorating the Global Youth Day for 2019 in a way of reaching out and sharing a meal with the less fortunate community members at the town. “As people of God, we want to be relevant to the communities we serve since we also believe in the spirit of sharing and caring,” he said. In 2018, Ncube said that his church youth group visited the Otjiwarongo State Hospital, where they donated blood during the commemoration of last year’s Global Youth Day. More than N.dollars 3 000 was spent on the food parcels, cooked soup and bread rolls.